Iran is making slow but steady progress in its nuclear development program, and believes a military strike is “not likely” says MI chief. 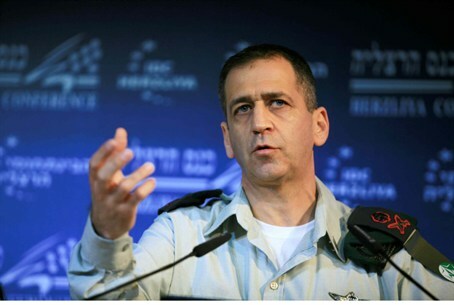 The effort to move its nuclear technology forward is “advancing slower than Iran had hoped, but it is progressing,” Military Intelligence chief Major-General Aviv Kochavi told the Herzliya Conference on Thursday. “Iran will continue with its nuclear program, because it assumes the likelihood of a strike is not high,” he added. Despite growing economic pressure at home due to tightened sanctions from the international community, Iran appears determined to push ahead with its uranium enrichment activities, Kochavi said. Unemployment in the Islamic Republic has skyrocketed over the past year, and the country is facing a 60 percent inflation rate. Vehicle manufacturing has dropped by 60 percent, and oil exports have been cut in half, he told policy makers at the annual conference. “I believe the weight from the sanctions is becoming an increasingly decisive element in the process of decision making in Iran, but it has not yet caused them to change their [nuclear development] policy,” he observed. “We believe Iran will continue to develop its nuclear program and intelligently deal with pressure from the street and the international community,” Kochavi said, adding that Iran will not offer any major concessions in talks with the international community this year. “The regime believes there is not a high probability for an attack on it,” he explained.